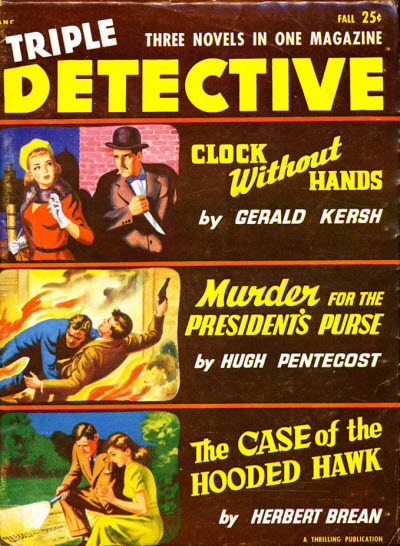 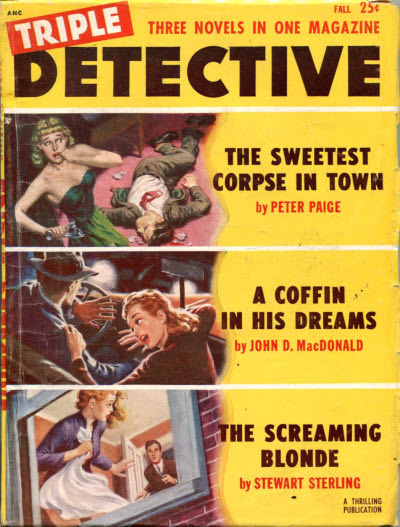 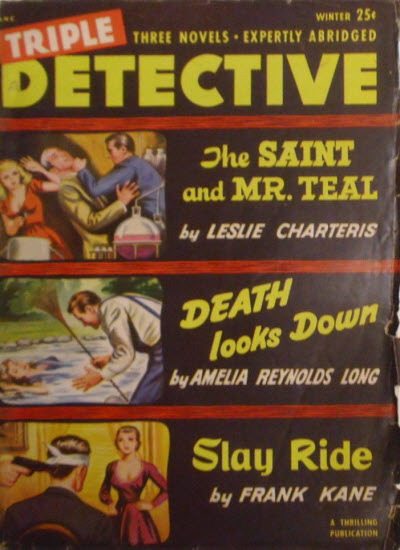 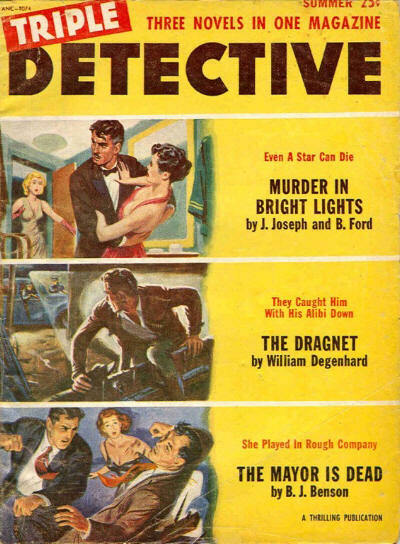 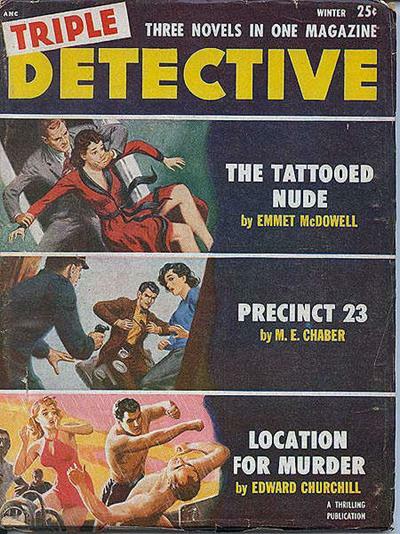 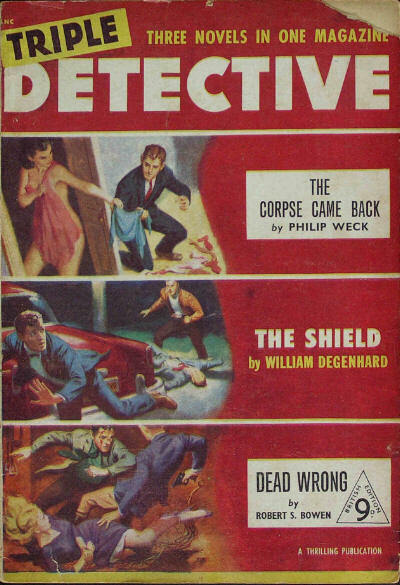 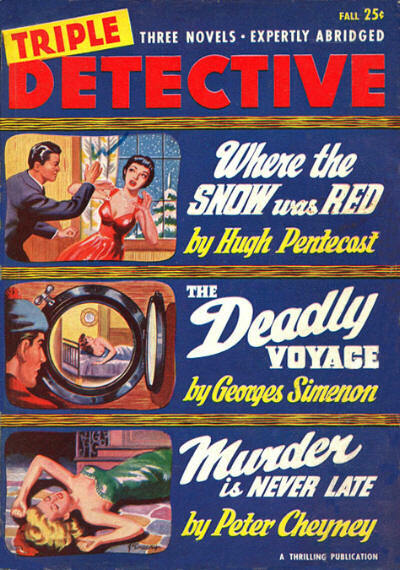 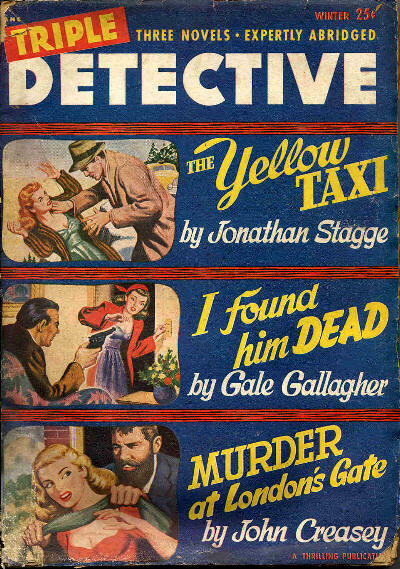 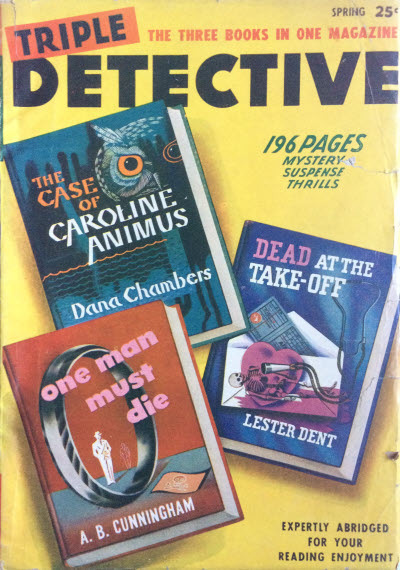 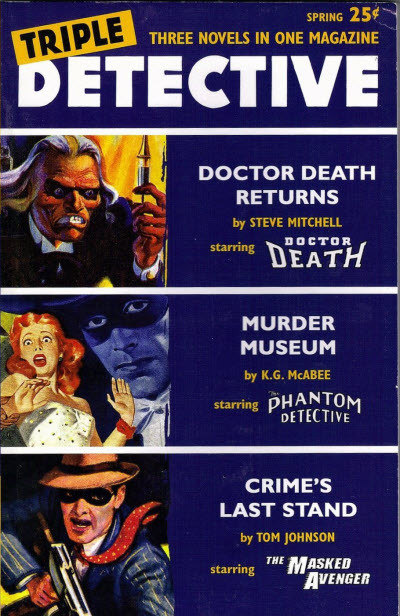 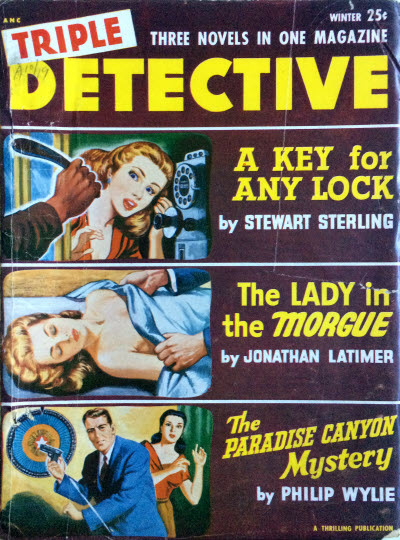 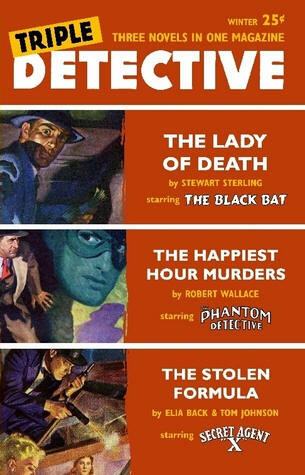 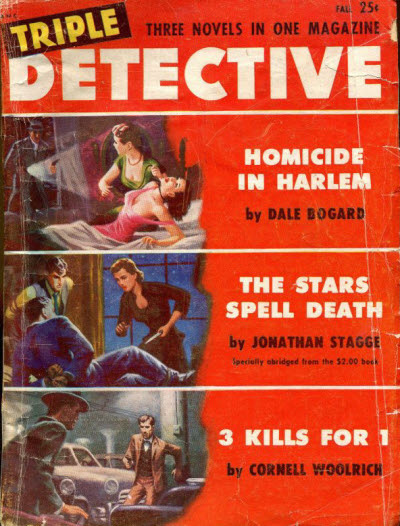 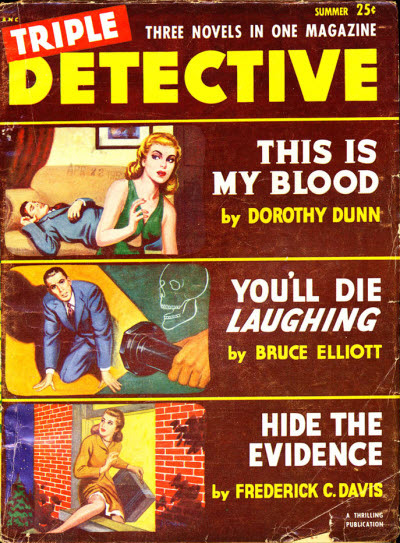 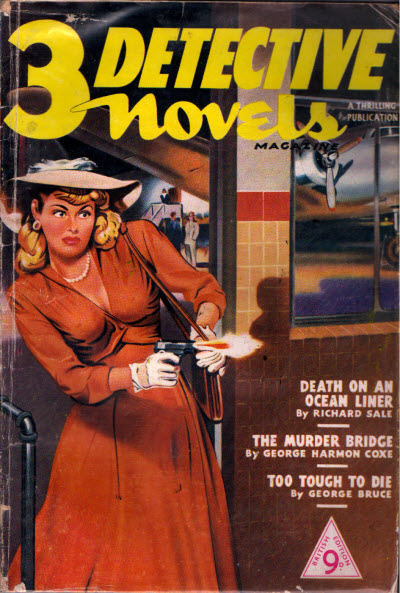 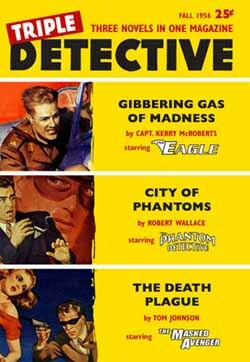 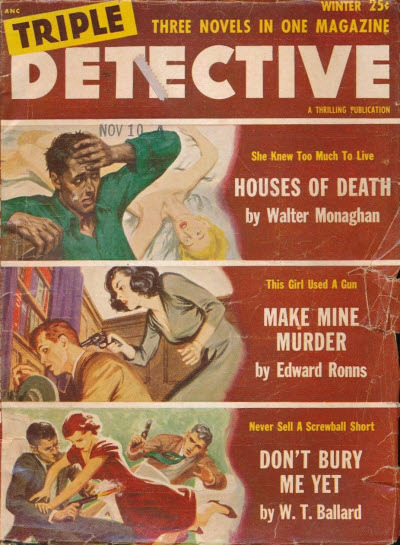 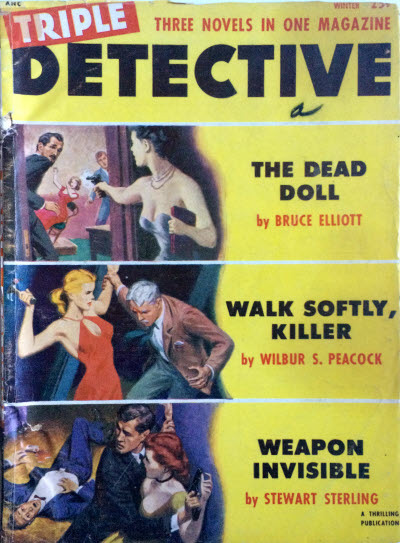 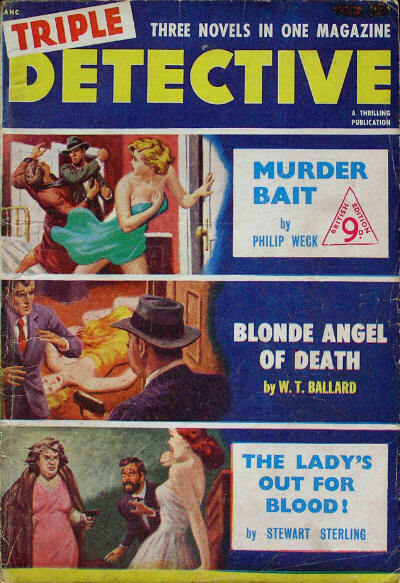 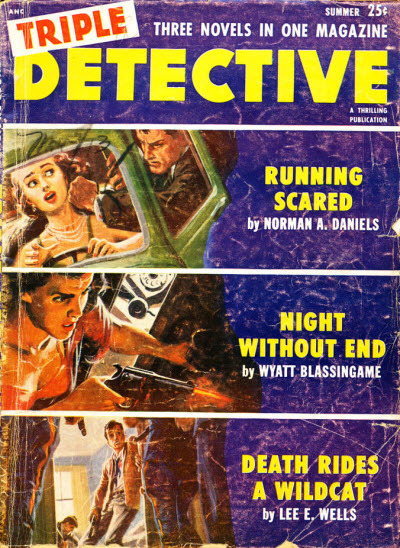 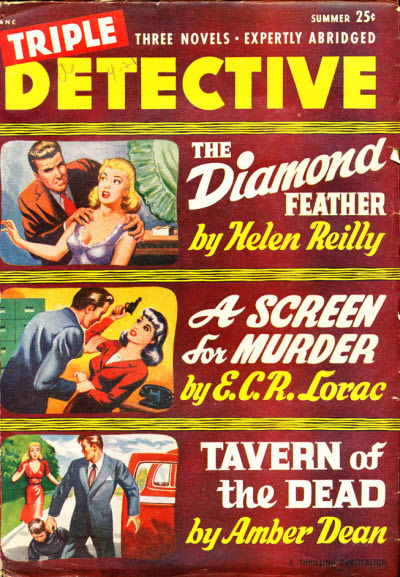 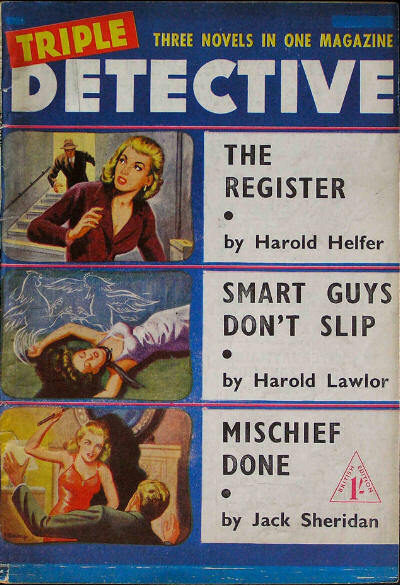 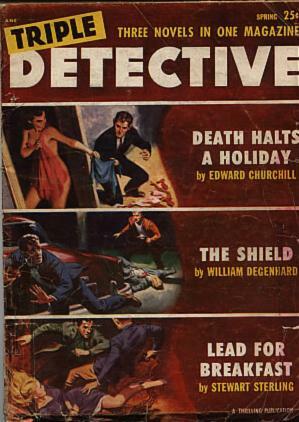 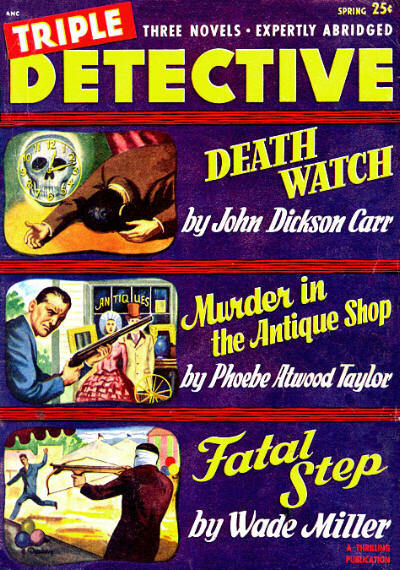 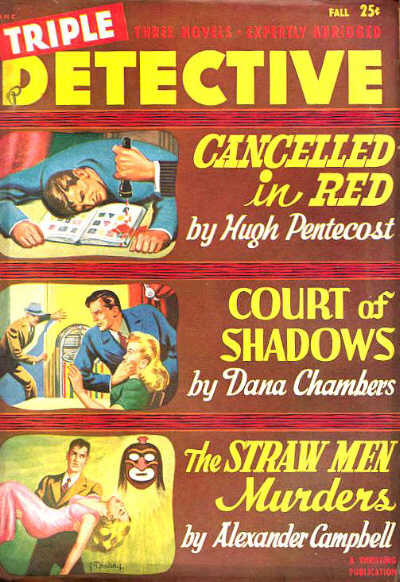 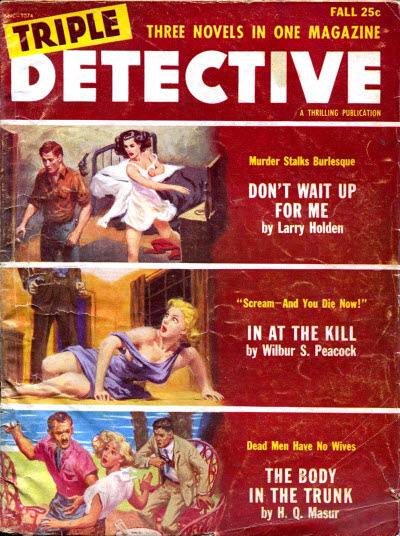 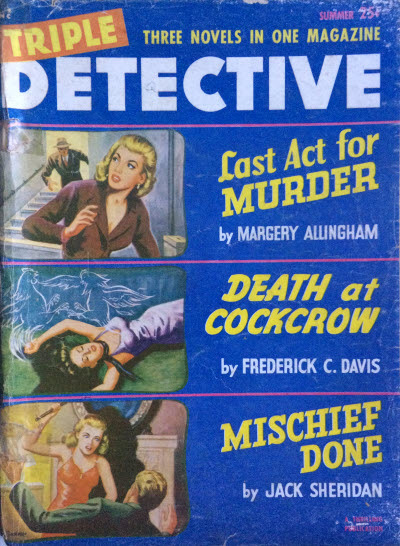 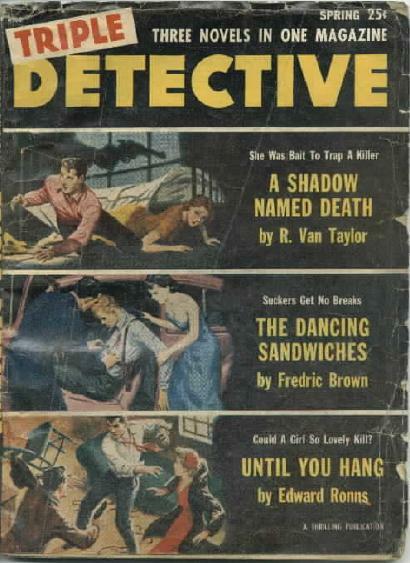 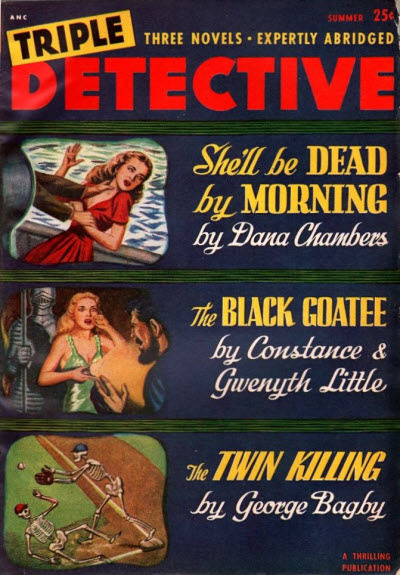 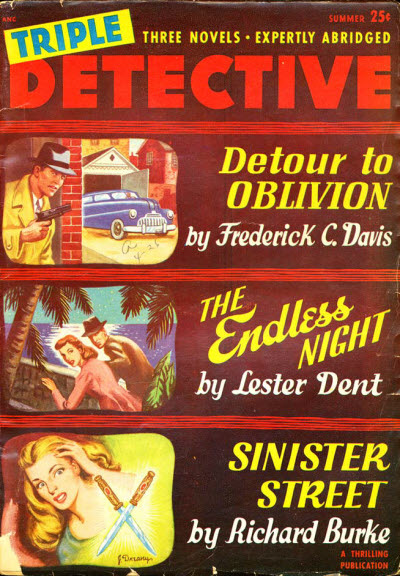 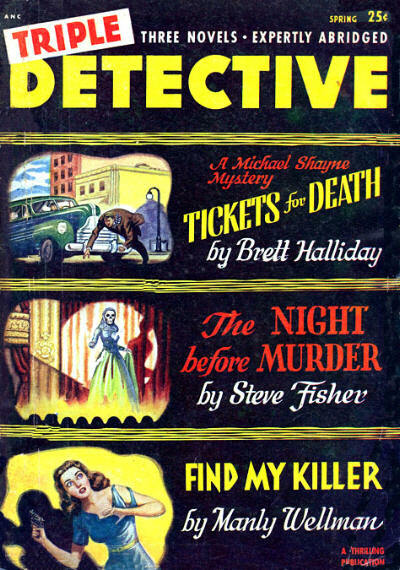 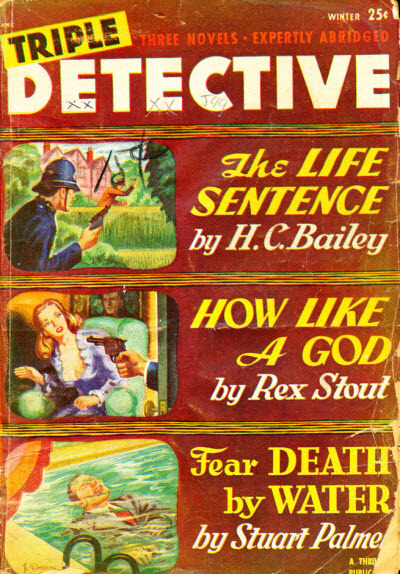 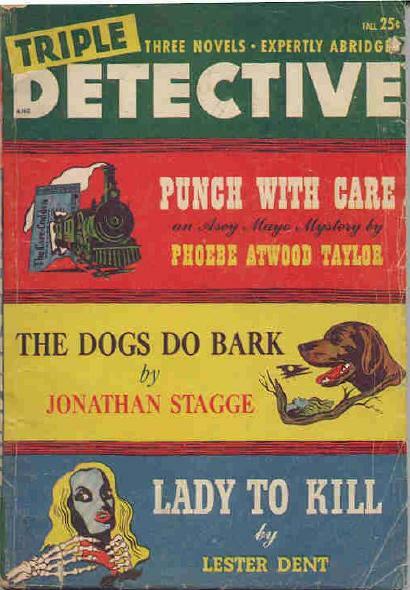 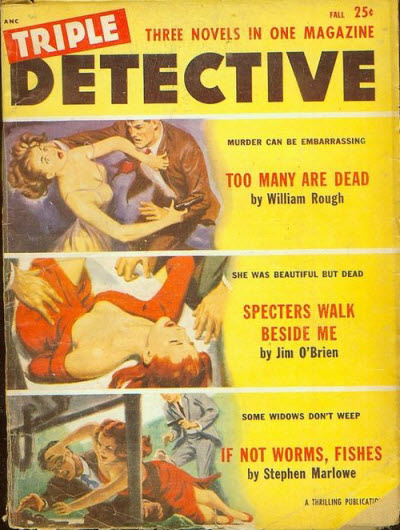 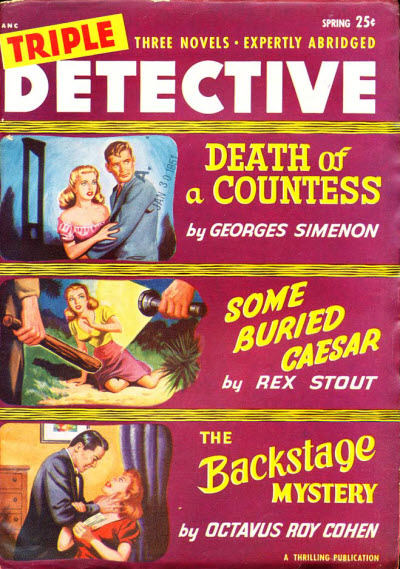 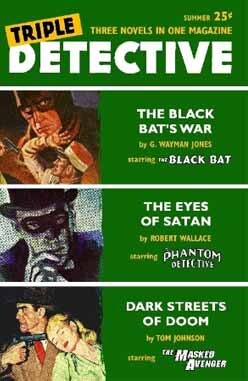 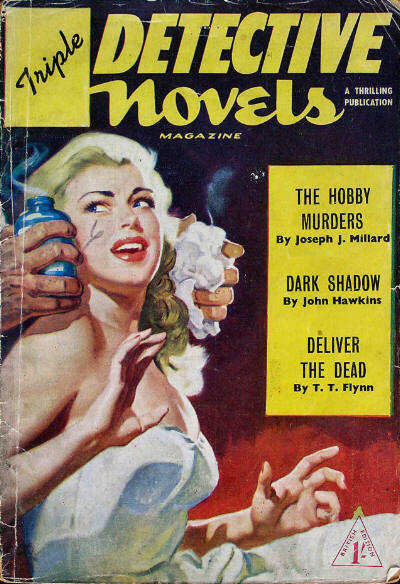 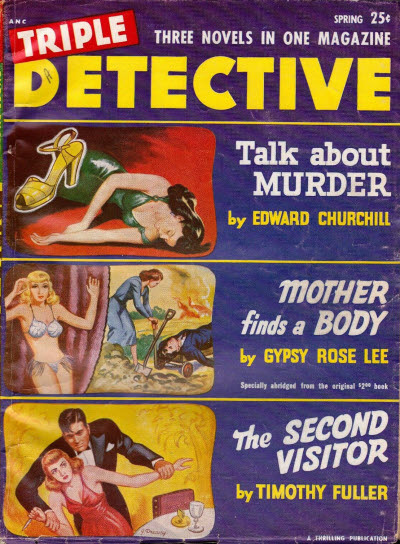 As the name implied, Triple Detective presented "three complete detective novels" in each issue. 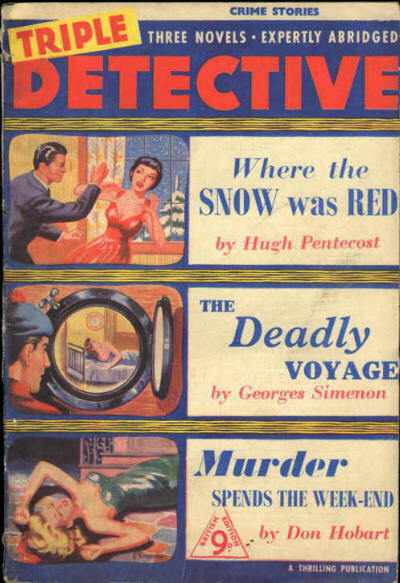 It ran for 35 issues between 1947 and 1955 and was relaunched in January 2008 with issues dated from Winter 1956. 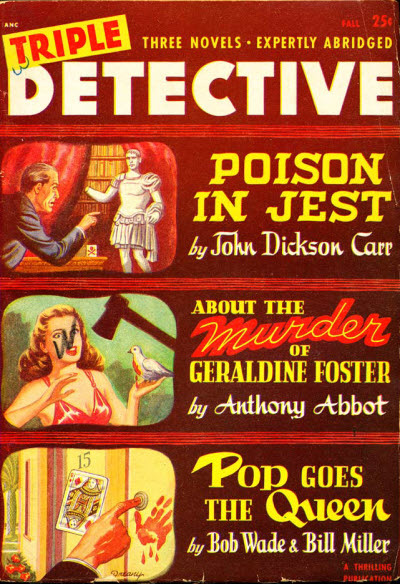 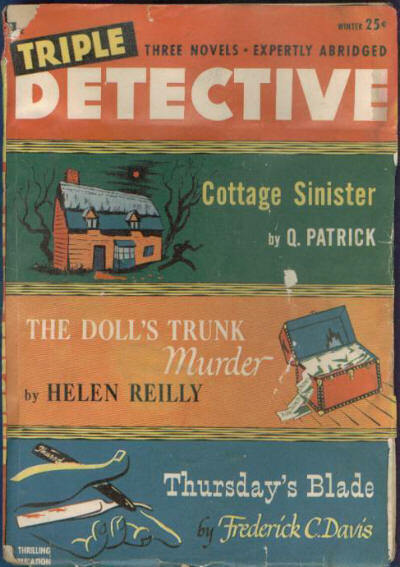 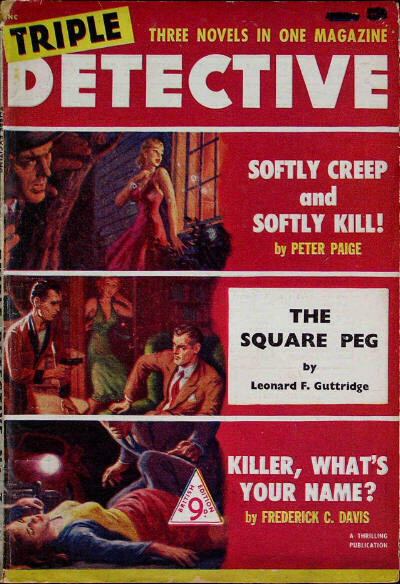 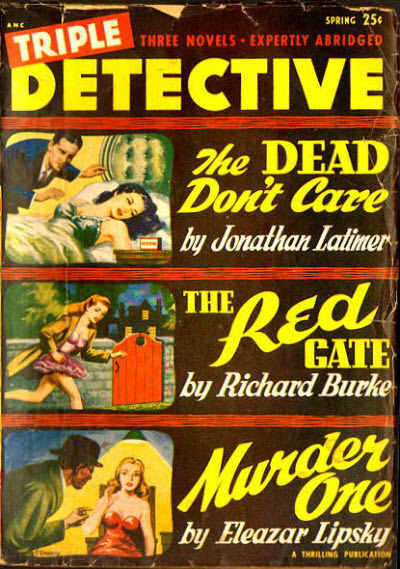 A British reprint edition, which also reprinted abridged issues of Five Detective Novels ran for at least 9 issues in the early 1950s. 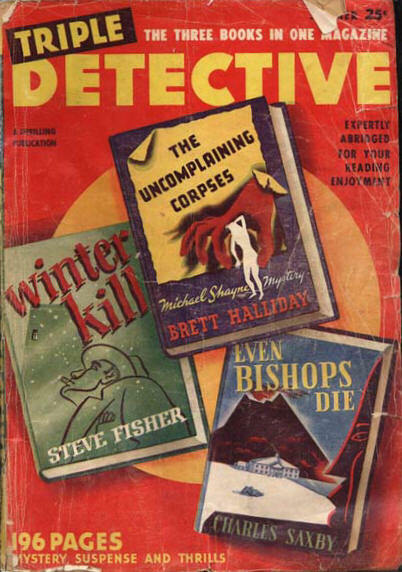 There was also a Canadian reprint edition for a while. 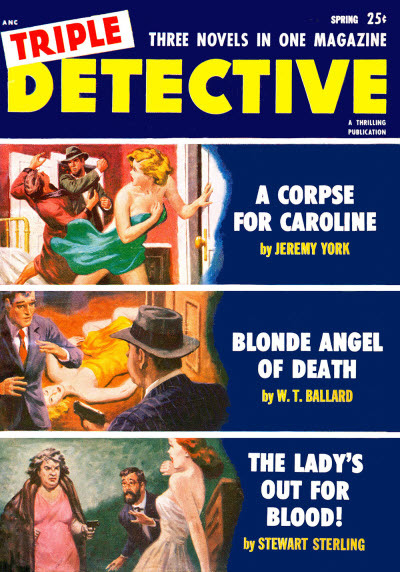 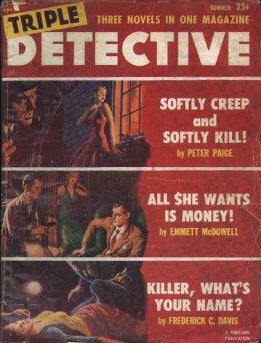 The issues were variously titled Three Detective Novels, Triple Detective Novels and Triple Detective.